Making space. : "Yeah, It's Tricky Being a Ninja." "Yeah, It's Tricky Being a Ninja." He’d been quiet and broody. My Mom Powers could feel the storm rolling around inside of his eight-year old spirit, but he didn’t know what it was or how to get it out. He just sat and stared. 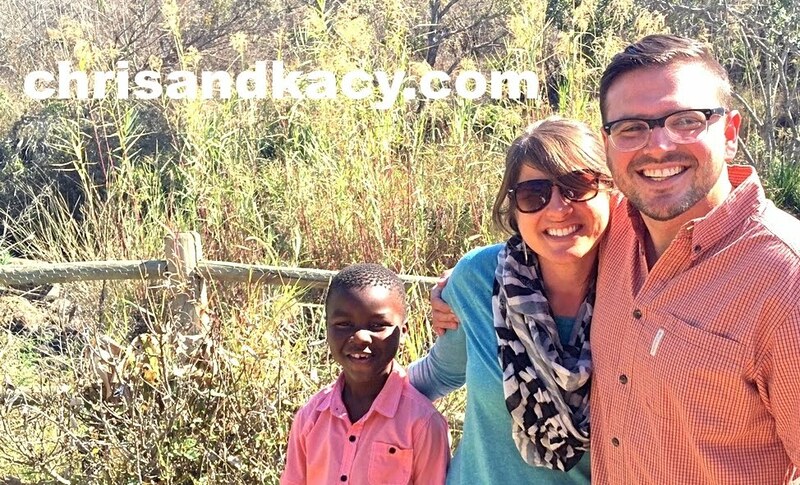 One dad (Chris) was away for meetings in Swaziland. And as soon as Chris got home, we’d pack up and take Lifa to his other dad’s (his biological father's) house for the Easter holiday. Something had to give. One of us was going to implode from the unspoken storm surges that were stealing the spark from Lifa’s eyes. At dinnertime, I filled up a bowl with his all-time favourite food combo: beans, coconut rice, tomato, cheese and yogurt. (Yogurt goes on everything.) Spoon by spoonful of comfort food and regular dinnertime routines created some space for Lifa to name his internal battles. He was nervous about the upcoming trip to his dad’s. I watched the questions I asked him about his dad’s house not translate across his families' cultures. Things like, “Who takes care of you while you’re at your dad’s house?” And, “Where do you sleep?” He stared dumbfounded and asked what I meant. Those questions, things I thought were normal household questions, didn’t translate. He said, “What do you mean who takes care of me? Like, do what?” And, “Where I sleep changes. It depends on who is home." The brooding and battling started to make more sense. One family’s culture, questions, routines, and lifestyle cannot fit in the same paradigm as the other’s. Just half a day’s drive away, Lifa leaves one world, one language, one life, and he joins another. He’s eight. Those questions unlocked something for him and for me. He’s old enough now to see the differences… and to get mad about some of them. To feel afraid, alone, and confused. Why does love look one way in one house and another way in another one? Why do my parents act one way in one house and another way in the other one? Do they all love me? Am I safe? Are they safe? I had a Mom-storm stirring in my gut by this point. I’ve begged God for the past 6 years to take the pain away from him, even to tell me when to stop, to release Lifa, so that he doesn’t have to walk in this wilderness. I’ve offered buckets of tears to my Father, pleading that He would at least let me carry the pain instead of a little boy. God says to just keep taking that drive. And He meets us on that road every time. “Lifa, is it hard to have two different houses and families?" Eight year-old shoulders fell under the weight of two worlds at once. Somehow, relief and his typically awkward smile reclaimed his expression as he gave a big, satisfied nod. YES. He talked about how sometimes he wishes his life could just be like his friends at school. One culture. One family. One lifestyle. One language. He said it’s hard to worry, to be afraid and to go back and forth. HE’S EIGHT. Many of his friends at school come from households where there’s no dad or no parents at all. They sleep in different places every night. There’s no dinner table and nothing healthy to eat. There’s not safety, security or soccer practice. But, on somedays, he’d give up his own Spiderman bed and take that just to be like somebody else. Just to stop straddling cultures. Just because he’s eight, and he wishes he didn’t know what he does know because sometimes that is safer. We talked and talked. I listened and learned. And then I leaned in and said, “Lifa, God told Dad and I a secret about you.” Suddenly, I had the most captive eight-year old audience ever… because God secrets are awesome. “You know how we always call you a Mighty Warrior? Well, God told us He has a super-cool, super-secret plan for you to become a great warrior. There are a lot of stories in the Bible about little boys who had to live lives very differently from the other boys. BUT, when they got bigger, their different lives, the things that made it so hard when they were little boys, was actually training that made them strong enough to be good warriors. God said that He knows how hard it is to go back and forth, and He is with you always. And, one day, He’s going to look at you, Lifa, and say, ‘Now you’re ready, My son. You are a Mighty Warrior." "So, right now, even when you go to your dad’s house, you’re in warrior training. Kinda like ninjas have to train for a long time to be really good ninjas. You want to be a ninja that wins, so you go through all the hard training." Understanding washed over him now that he could understand this beautiful secret he was a part of. All of a sudden, the storm passed. And he said, “Yeah, it’s tricky being a ninja." That was it. Challenge accepted. When the wilderness is warrior training, when you choose the battles for the victories, when you step back from suffering and get some perspective, it’s no less painful, but it’s somehow ok.
It’s tricky. And it’s worth it. Whether you’re eight or you’re eighty, we want to know, to understand, to be safe, to be secure. We want for it to not be hard. During the long walk through the wildness, the Israelites just wanted to go back to slavery because, at least there, they knew what to expect. But once you know, you can’t not know. So, hear this and know: You weren’t made for that. Not for slavery or security. You were made to stand between the world and heaven, and call down the Kingdom of God. You were made to straddle cultures, not fit in. You were made to walk into the wilderness with triumphant joy because you’re entrusted as an ambassador for a Kingdom. And you want to be ready for that. And you want your kids to be ready for that too. I’m about to go wake an eight-year old warrior-in-training for the trip to his dad’s house. Pray for us today as we drive through the in-between and send God’s little ninja into another round of training. Pray for him to remember he’s part of eternity’s best secret and that in those scary times, low points and hard stretches, Lifa will remember his worth in the arms of Christ and that it’s tricky being a ninja. I'm grateful to our God who has the plan, who knows the plan & who knows how to lead us through this part of the plan. I am crying. Such a powerful message I needed to hear, too. God bless you all. Wow!! Everything you said it true and to bring it to an eight yr old level helps not just Lifa to understand but all of us. Praying you, Chris and Lifa as you embark on the Easter holiday.